Resistance of a component is the ratio of the potential difference V across it to the current I passing through it. Fixed resistor that has a fixed value of resistance. Variable resistor (Rheostat) which we can vary the resistance. 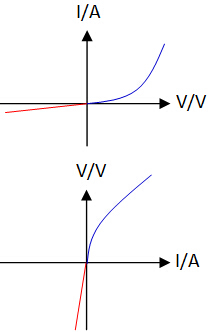 Ohm’s Law states that the current passing through a metallic conductor is directly proportional to the potential difference across it, provided that physical conditions (like temperature) remain constant. Ohmic Conductors are conductors that obey ohm’s law. 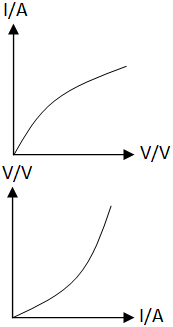 Their resistances are constant and their V– I or I –V graphs are a straight line passing through origin. Step 2: Before closing the switch, adjust the rheostat to the maximum resistance. Step 3: Close the switch and record the ammeter reading I and voltmeter reading V.
Step 4: Adjust the rheostat to allow a larger current to flow and record the ammeter and voltmeter readings again. Step 5: Repeat step 4 for at least 5 sets of readings. Step 6: Plot a graph of V against I. 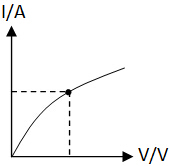 Step 7: Resistance is the ﻿gradient﻿ of the V– I graph. Non-ohmic Conductors are conductors do not obey ohm’s law. 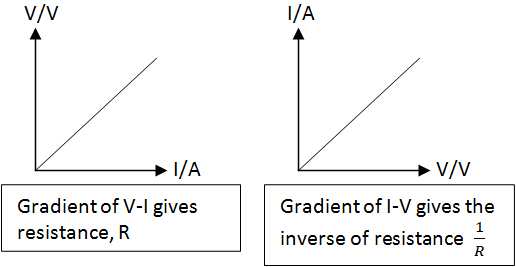 Their resistances can be varied and their V– I or I –V graphs are not a straight line. Temperature increases, Resistance increases Temperature increases, Resistance decreases Allow current to flow in one direction only. 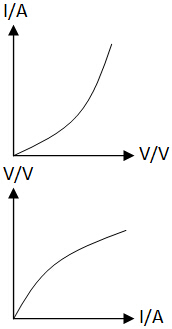 Note that the shapes of V-I and I-V graphs are basically the reflection about V = I line. We can use the same experimental method discussed above to determine the resistance of non-ohmic conductor at a point. After plotting the graph, we just need to mark out the point and find the respective current and p.d for that point. Then use formula R = V / I to find the resistance.